"Your robot is so smart and advanced," says Skipper. "Can you teach me how to code?" "I would love to!" 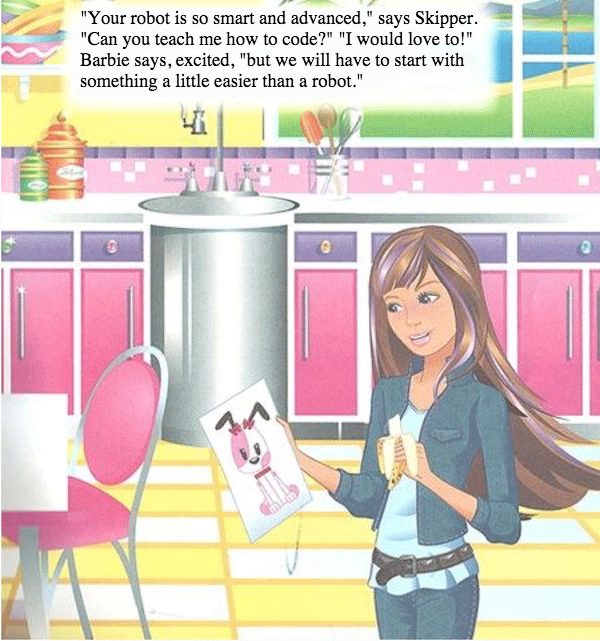 Barbie says, excited, "but we will have to start with something a little easier than a robot."